The Mercedes-Benz W111, nicknamed ‘Heckflosse’ or ‘Fintail’, was a chassis code given to its top-range of vehicles, including 4-door sedans, produced from 1959 to 1968, and 2-door coupes and cabriolets built from 1961 to 1971. 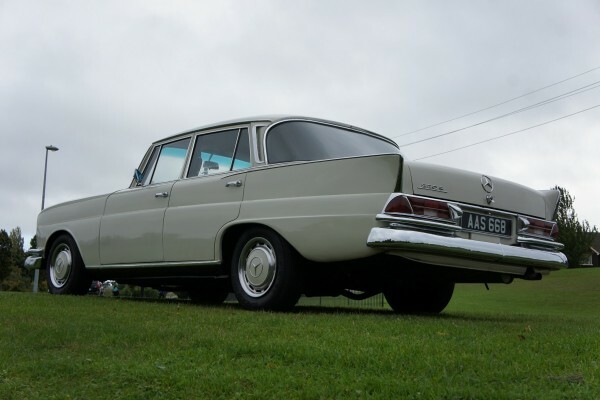 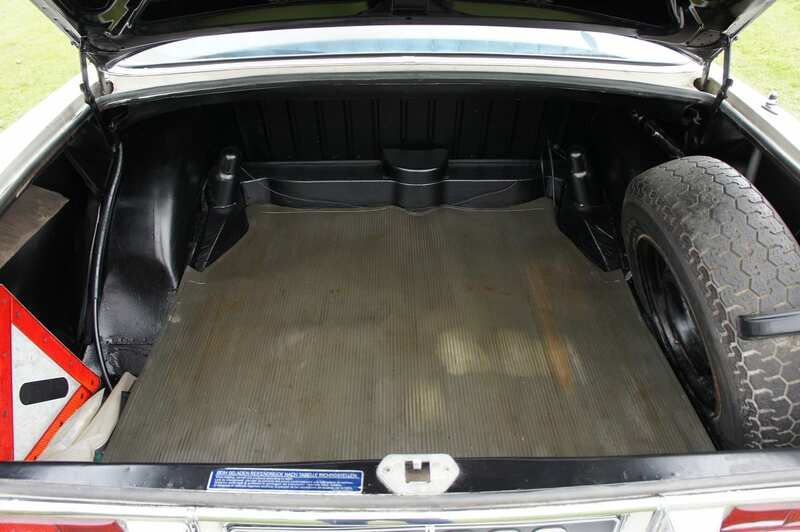 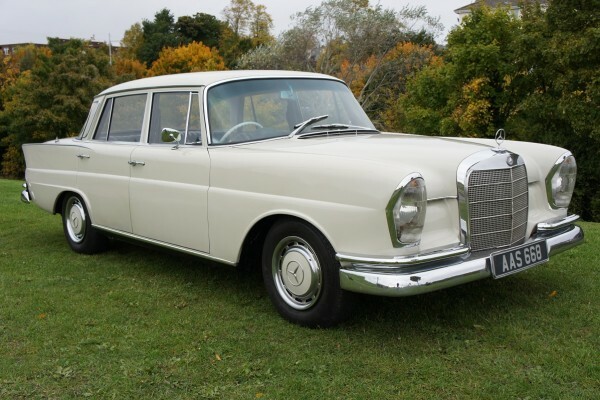 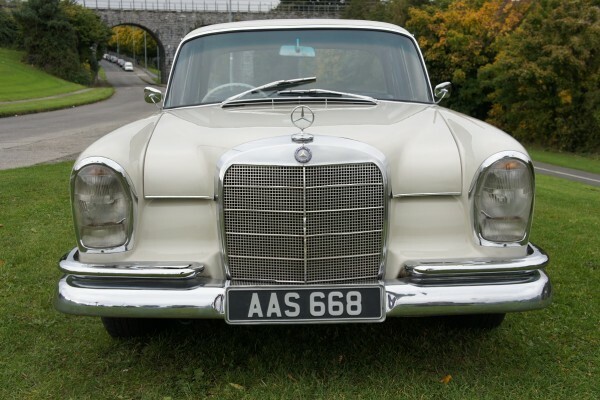 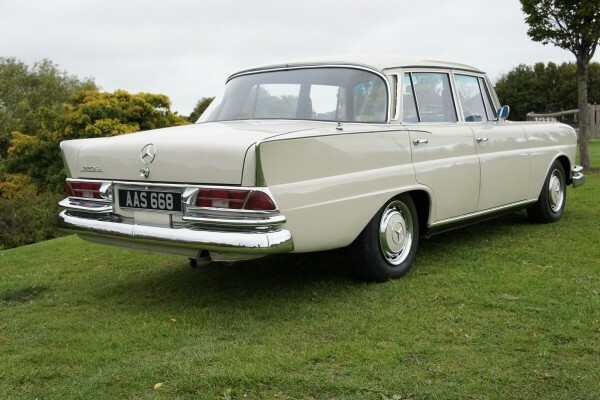 The W111 title was initially attributed to 6-cylinder cars with 2.2-litre engines. 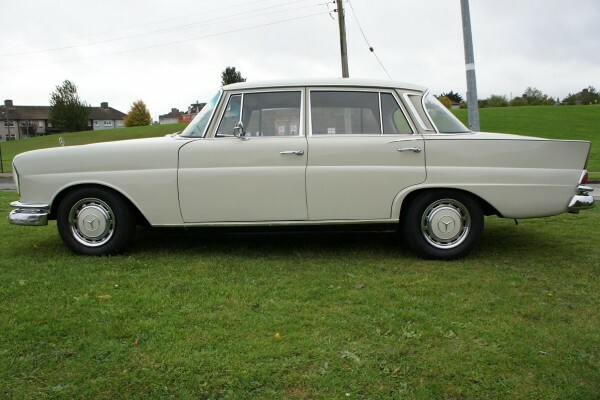 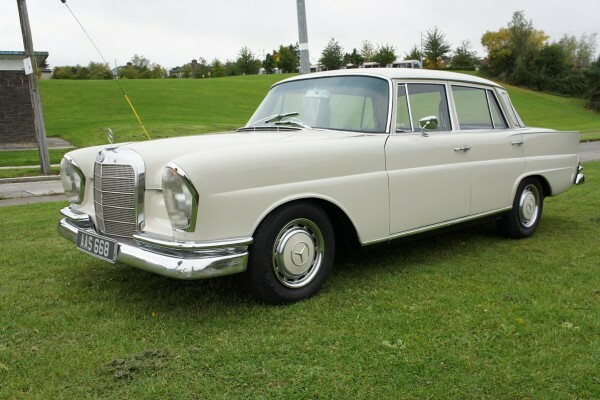 It features a longer nose and wheelbase than its smaller W110 siblings. 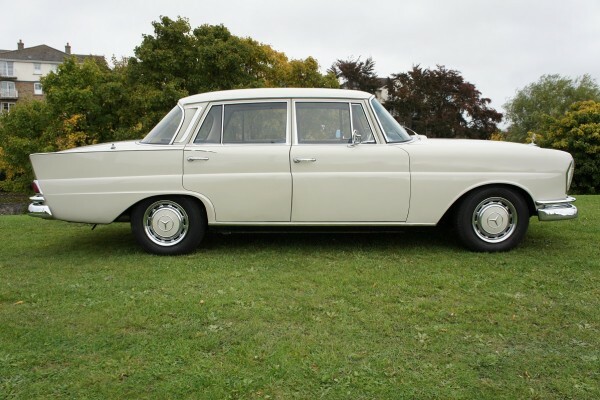 The 220S versions have full size wheel trims and double rear bumpers with separate number plate lights. 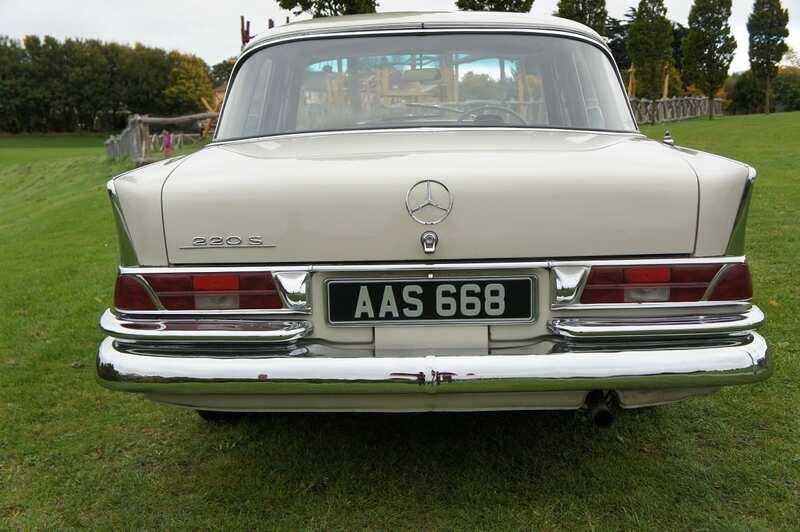 They also have extra chrome around their rear lights, chrome on the scuttle intake and chrome on the rear fins. 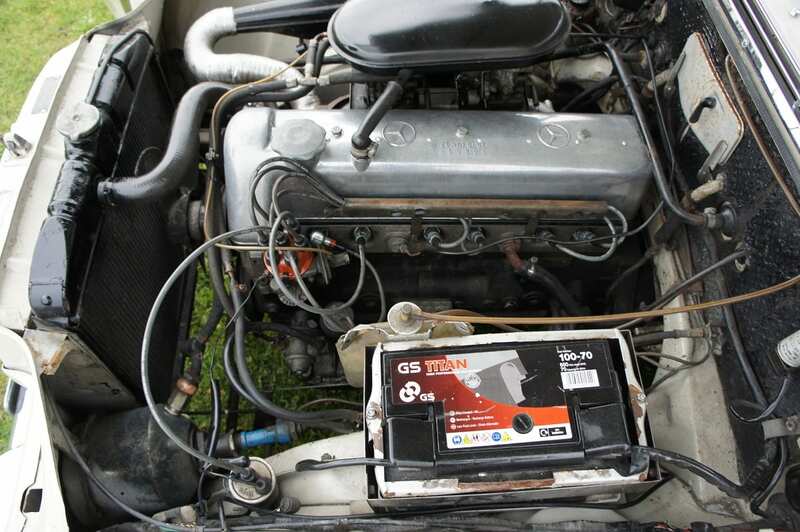 Powering the car is a 2195 cc straight-six engine carried over from the previous generation. 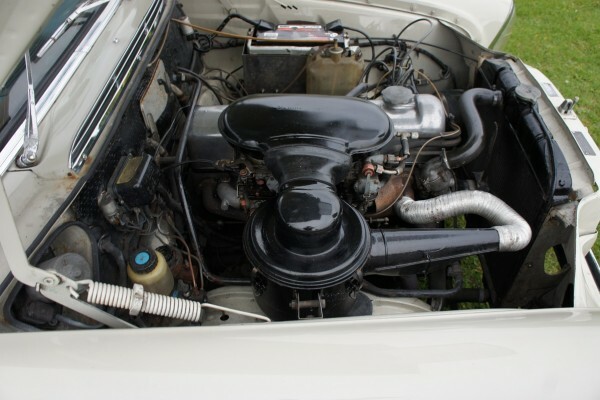 The 220S engine has twin carbs and produces 110 hp with top speed of 103 mph and 0-60 mph acceleration time of 15 seconds. 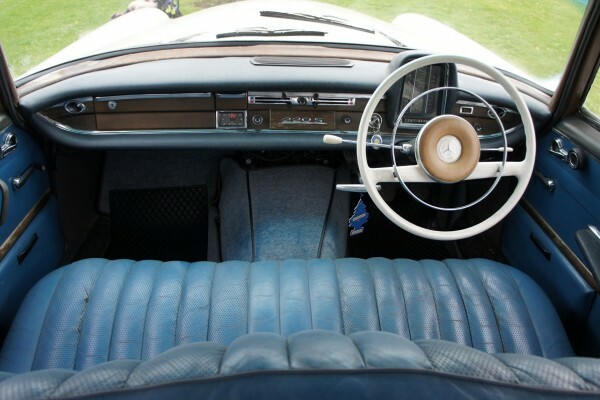 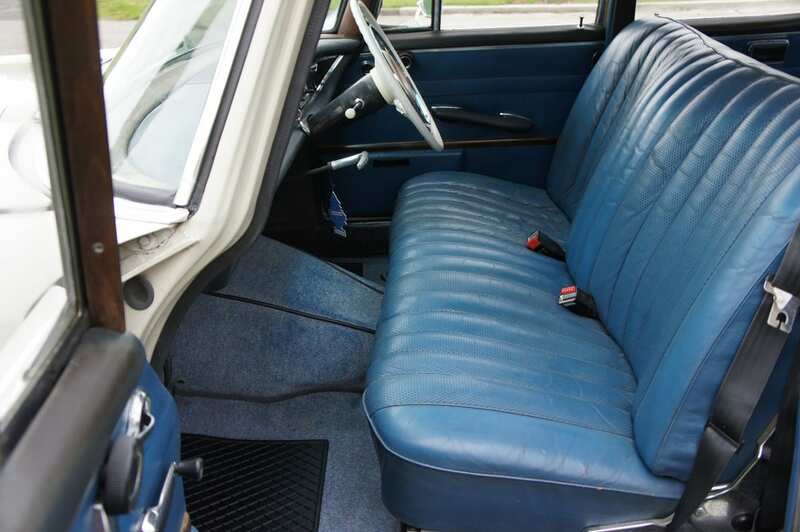 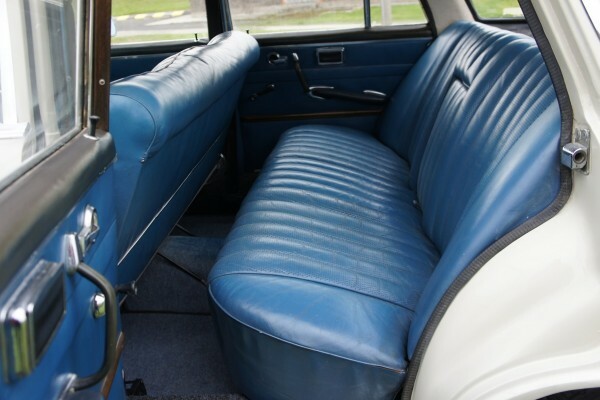 This car presents well and features blue leather, a front bench seat, column gear change and white steering wheel. Not much is known of its early life. 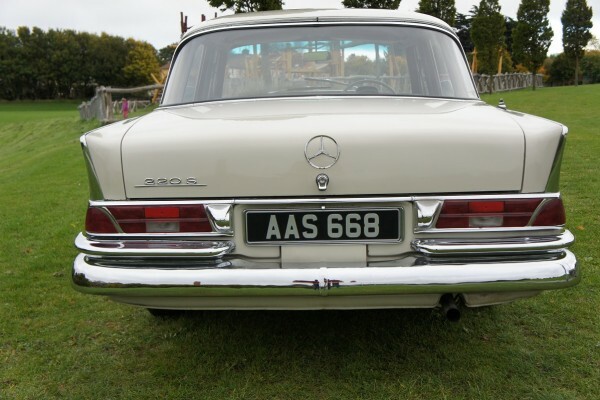 A history check reveals it had 3 owners in the UK before it was exported to Ireland in 2002. 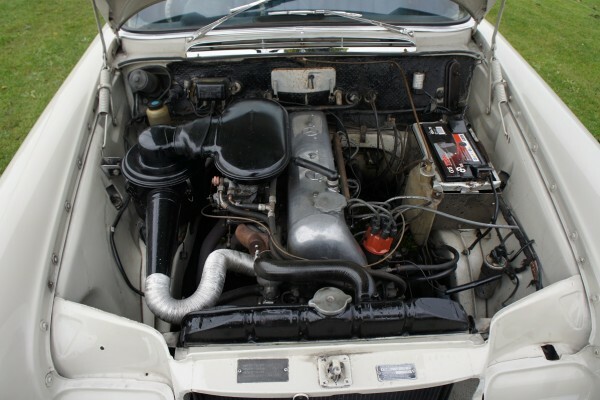 It has undergone restoration there including body renovation, a cylinder head overhaul, new exhaust and bumper rechroming. Recently it has a new brake master cylinder along with rear wheel cylinders and new lining and since then has been in everyday use.